We're a market leader in the processing of used waste solvents into high quality recovered solvents that are available in Canada and across North America. Solvents which have been recycled are nearly identical to virgin product, allowing you to purchase this solvent and use it as new, but for a fraction of the price. This gives you significant savings in your solvent purchasing. Each year Maratek Environmental recycles and recovers thousands of drums of industrial solvents. 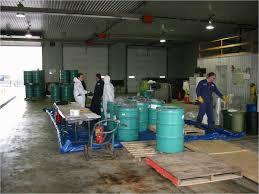 We are therefore in a position to offer you in drums or bulk, high-quality solvents at very good prices. Do You Have Solvent Waste Which Needs Recycling? If you have waste solvents that you would like Maratek Environmental to evaluate for solvent recyling and recovery - we'd be gald to provide you with a quote.